Nobody truly knows whence they came or when, not even the elves; some claim they have ruled the lands of Ilethra since time immemorial. Whatever the truth may be, there certainly is no kindness in the gods, no compassion; and yet, their followers have divided the lands of Ilethra among themselves for just as long. Riddled with countless smaller and larger kingdoms, realms, fiefdoms and clans, some secular but many tantamount to religious orders, Ilethra seems to be in a state of perpetual warfare, much to the grim delight of the Dark Pantheon. Going from bad to worse, you have been fated to the life of a Misfit, an outsider, part of a caste of people loathed and despised by those around you. Whether you’re an uprooted soldier, a displaced civilian, a disbeliever, a disabled, a non-human or just plain weird… you stand apart and there is nowhere that you truly belong. Thrust into the turmoils of a continent under the thumb of a set of malicious and bored gods and without a place to call your own, you wander from place to place, trying to carve out a life for yourself by any means. offers the ideal setting for gamers tired of nice and tame fantasy tropes; just take those tropes and subvert them with a dark edge! Ilethra is a dangerous and wild continent, a place where the human disciples of the dark gods reign supreme. It’s a place where the remnants of elfkind have been enslaved by mankind and halflings turned into the willing accomplices to mankind’s conquest in the name of the dark gods. A place where demons and the undead roam freely. The true evil of the dark gods, however, doesn’t express itself through black-clad overlords – it’s in the rises and tragic falls of individuals, kingdoms and races instead. It’s in the hopelessness and despair of people – and in their illusions. Your players will have to navigate this maze of ruin to avoid their own downfall, possibly at the expense of others. For at its core, Knights of The Black Lily isn’t about fame and fortune. Nor is it about survival or morality. It isn’t about becoming a hero or finding the dragon’s gold. It can be about any of the above or none of it. More than anything, however, Knights of the Black Lily is about people. Ilethra is a fantasy backdrop for participating in a wide range of human stories. Humans, whose fate is constantly hanging in the balance – as the gods above and below toy with them out of spite and boredom. Humans who beg those very same gods for both mercy and riches alike. Given this a dismal state of affairs, Ilethra is a continent filled with plenty of tragedy, if not Shakespearean drama. Even worse, your players may come to discover that in a world filled with demons, the undead and illwilled deities, hell is other people. It means for any PC that the game is ultimately about finding your place in a world that offers no acceptance, no refuge, no peace. And it means to take whatever you want to along the way – by either gaining the gods’ blessings or by your own strength, the gods be damned. 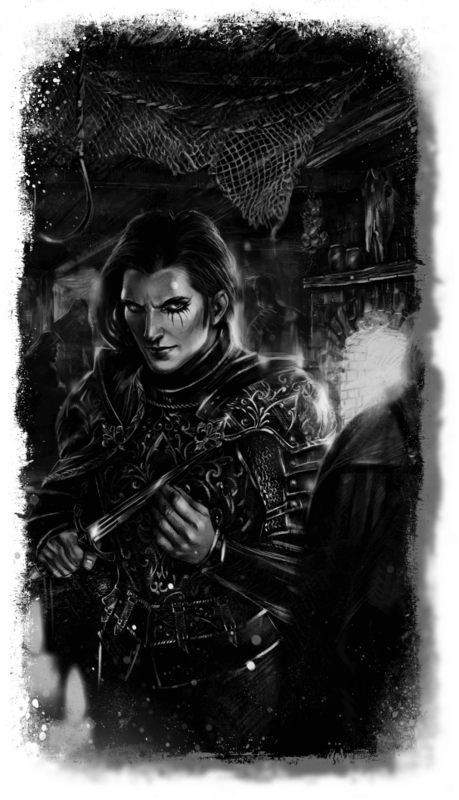 Complementing this and reinforcing the notion of a world in which nobody can be ever fully trusted, Knights of the Black Lily offers the option to break out of the standard paradigm of the PCs forming a party of good, stout friends going on a high and mighty adventure together. Gamers who feel limited by this story-telling paradigm and who want to explore the narrative space of conflicting PC interests -or outright inner-party intrigue- can do so safely in Knights of the Black Lily: the game provides guidelines and mechanisms for limiting such conflict, guaranteed to avoid all-around hurt real world feelings. As these rules are only optional, everybody else can, of course, play together in the familiar cooperative style of adventuring instead. Will your character adopt the dark gods’ designs as his own and embark on a twisted quest on behalf of his shady master(s), all in hopes of both divine blessing and worldly rewards? Or will he openly defy the will of the dark gods, thwarting their designs come hell or highwater? Or will he, through guile and trickery, try to cheat the dark gods, putting them and their avatars against each other to reap the benefits of discord? 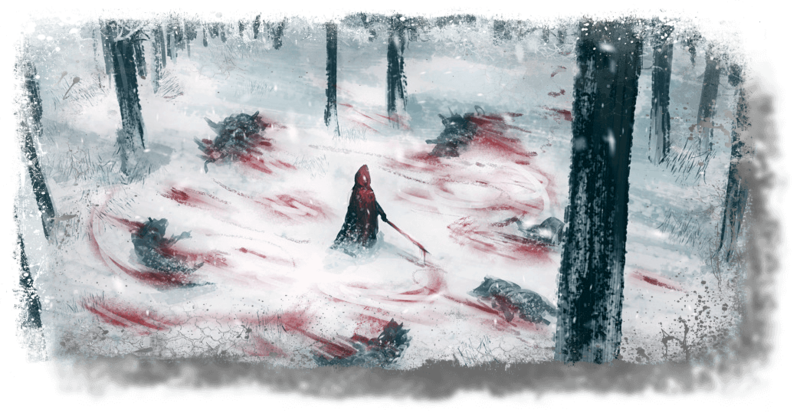 Whatever decisions each and any player may take, it will help shape their destiny, as well as determine the fates of the people they meet in their travels – for the Dark Pantheon is bound to weigh the scales, depending on their choices made. And while the will of the gods may seem like an indecipherable enigma, there is reason not to despair: each tragic adventure is supposed to provide catharsis to the players – bestowing them with new and deeper insights into the ways of dark gods and the world they rule with an iron fist. On the other hand, for those GMs who prefer their own brand of dark fantasy and telling their own sinister stories, Ilethra is large enough to easily house their ideas, leaving much, much blank canvas for personal expression or incorporating other settings, specifically. And for those gamers who want to play standard fantasy (whether high fantasy or low), the ground-breaking ruleset has been carefully designed to run cinematic fantasy stories of any type. Intrigued? 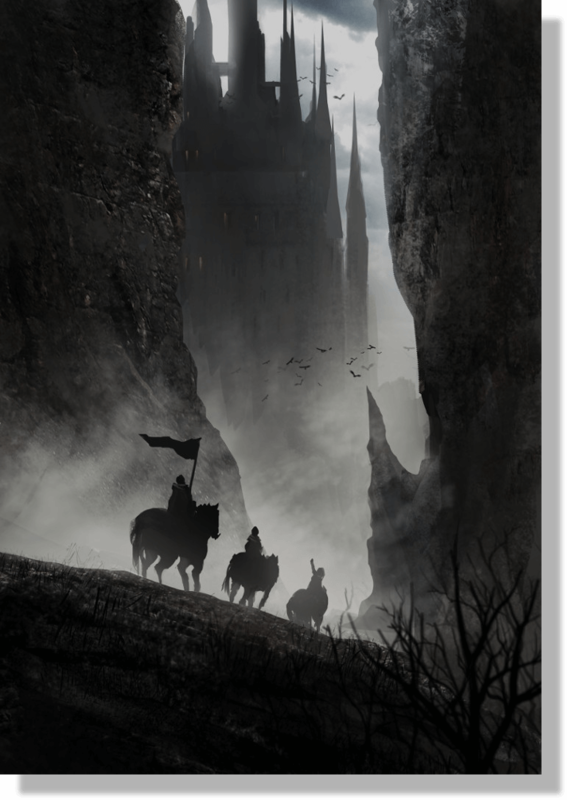 If the dark gods got you hooked, you can learn more about the ruleset of Knights of the Black Lily right here.